On the left, a Terran Marine from the popular Blizzard RTS franchise [real time strategy game] StarCraft. On the right, an Imperium of Man Space Marine from the universe of Warhammer 40,000, by Games Workshop. Yes, the are both traditionally depicted as wearing blue armour. It’s fairly common knowledge that Blizzard owes a great visually creative debt to Games Workshop while still branching out on their own, but that’s not the point. It turns out that in Europe they have a Class 16 trademark, which includes, among a whole slew of other things, “printed matter.” With that in hand Games Workshop brought their complaint to Amazon Kindle Publishing UK, which then caused Amazon Kindle Publishing US to block the e-book in all countries everywhere. A later update states that since the company has since delved into e-books themselves, they own the trademark in that respect as well. Space marines have been part of the sci-fi cultural landscape for decades at this point, going as far back to Robert A. Heinlein’s 1959 novel Starship Troopers [later adapted into a film in 1997]. While Bungie’s Halo franchise concentrates on their Spartan supersoldiers, fighting alongside these technological titans are members of the UNSC [United Nations Space Command] Marine Corps. In Gears of War the protagonists are infantry soldiers known as Gears, clad in bulky armour and waging war against the same sorts of extraterrestrial terrors the aforementioned servicemen do. Science fiction has long been about exploring what lies beyond the Earth’s gravitational pull, and where there is the unknown there often lies danger. To put together a military force similar to what exists here and now while using the same naming convention simply makes sense. What Hogarth wants is for science fiction authors, video game creators, etc. to be able to continue use a term that was long made available to everyone. 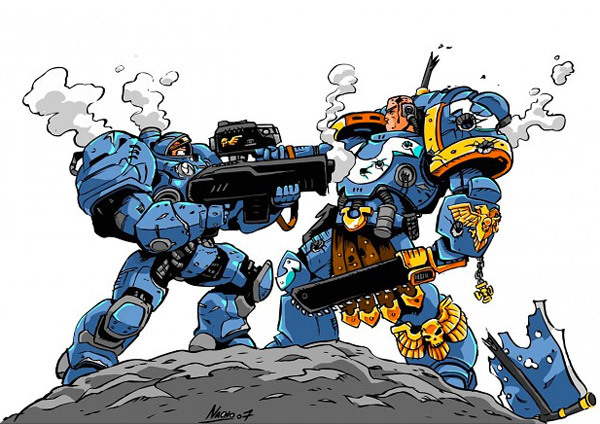 It’s like saying that Blizzard and WarCraft placing a trademark on a term like “paladin” or “shaman,” or Star Wars placing one on “bounty hunter.” Space marines should be free to defend humanity on Tarsonis, Sera, Reach, or Macragge, and go by that title if they wish. StarCraft, undoubtedly one of the best and most important games of all time, at least according to Wikipedia. This is an RTS [real time strategy game] that commands legions of fans, and its sequel, which launched in 2010, now commands many of the same legion of fans. But the competitive online scene for any game is not an exceptionally friendly place. There’s the stress and pressure of playing against other players to achieve ranks, and that’s not at all helped by players who are BM (bad manner[ed]). 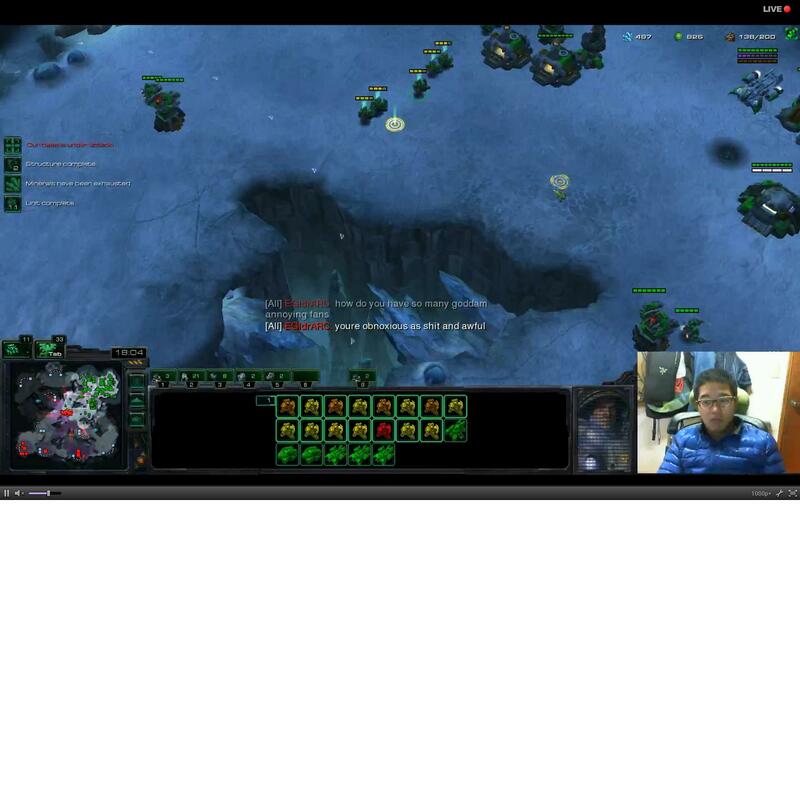 This rudeness can even be found among pro-gamers themselves (see: many of IdrA’s interactions with other players). Enter Jonathan Burton, also known as “Carbot” and the creator of the YouTube StarCrafts. Set entirely in the world of StarCraft II each episode presents various units from the Terran, Protoss, and Zerg races engaging in a battle that is, in a word, adorable. And they’re more than just heartwarmingly lovable, they’re also hilarious. Anyone with even the slightest familiarity with the game will lose it when they see a Zealot dancing from side to side to defend a choke, and people who didn’t understand what any of those words meant are still going to chuckle when they see the baby-like Marines running [almost always away from something]. Add to that the fact that almost all of the soundbites used are from the game itself and you have a very impressive piece of work on your hands. The following is probably the best entry into the series, and it showcases the dangers of letting yourself get . . . overzealous. Cue classic CSI scream. What’s really great though, is how I don’t even really have to be writing this post. StarCrafts has received the recognition it so greatly deserves, and episodes have been featured fairly often on the Blizzard [the game’s creator] site. What’s even more exciting is how they were also aired during game breaks at the first ever BWC [Battle.Net World Championship] in China. A special episode was also created for NASL [North American Star League]. I strongly encourage all of you to check out a few episodes. Even if StarCraft II isn’t your thing [and really, it’s not for everybody] maybe this can help you relate just a little to all the die-hards out there. At the very least, you’ll have spent a few minutes watching an excellently produced video by a very talented man.